Planning a birthday party with a safari theme is great fun, with lots of options for decorations, games, and food. 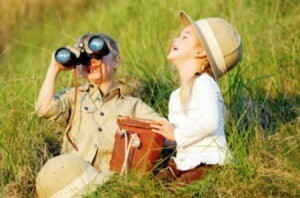 This is a guide about safari theme birthday party ideas. I need some good birthday ideas for my son's 7th birthday party. His cake is Bacugon, but the theme is "safari" because he loves animals. He and I just re-did his room with a safari theme. Please help it is this weekend.